See how Sambino the Frog unites with his friends Ro Ro the Elephant, Penelope the Owl and Penguin to become heroes who save their home town from the bully who attempts to turn it upside down. 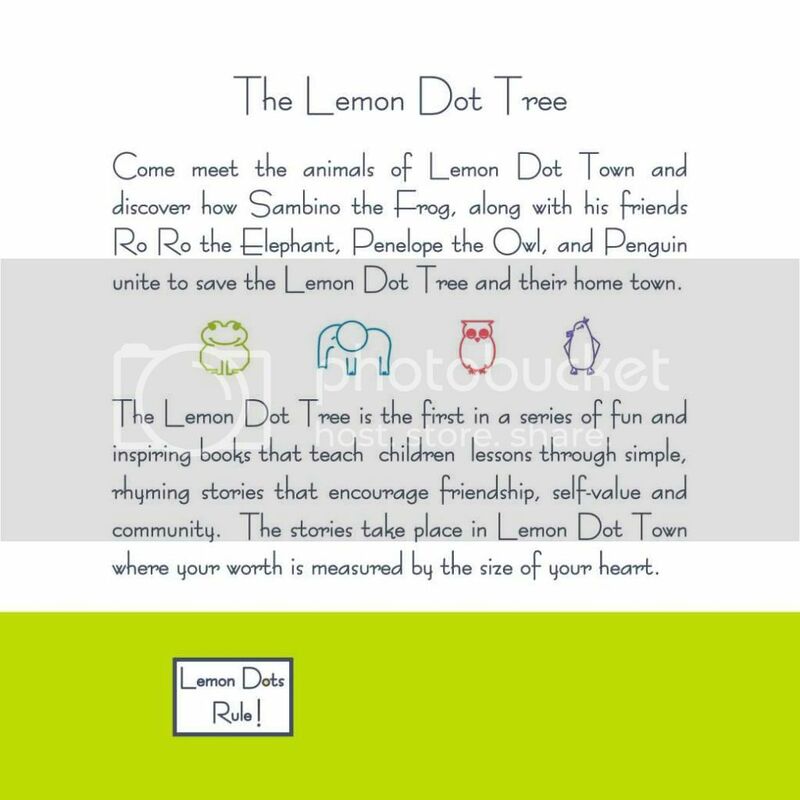 "The Lemon Dot Tree" is a sweet story written in verse that imparts the important values of love and respect for one another and the environment. This is the first book in the series The Lemon Dots Rule, which is sure to become a favorite as your child becomes familiar with the adorable characters and learns, along with them, the values and responsibility of being part of a family, a community, and this wonderful world in which we live. Check out "Look Inside" the book, available at Amazon.com. The "Lemon Dot Tree" receives 5-stars from "Readers Favorite"
Find more customer reviews on Amazon.com Customer Reviews.